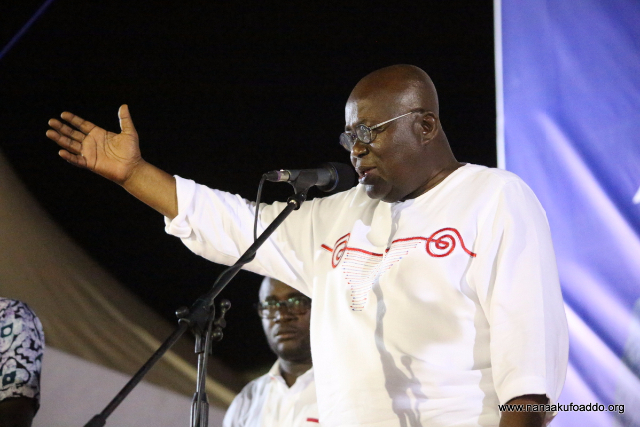 Food Sovereignty Ghana congratulates Nana Addo Dankwa Akufo-Addo as President-Elect in the just-ended Presidential election of the Fourth Republic of Ghana. We also congratulate His Excellency, President John Mahama for gracefully conceding defeat and once more, ensuring that Ghana’s transition in a change of government has been as peaceful as it ought to be, despite a bitter and acrimonious campaign. We thank and congratulate all Ghanaians, especially all those who took the extra needed steps to see that the right things are done, the Electoral Commission, the security agencies, the media, the faith-based and civil society organisations. As we congratulate Nana for his well-deserved victory in the just ended elections, we take this opportunity to cry out and call on him, as a matter of high priority, to consider the systematic application of agroecology and sustainable agriculture as a crucial national challenge. We urgently need to tackle this in the face of climate change and our survival needs. We need to tackle this for the sake of ensuring the sanctity of human health, environment, for our own sake and for the sake of future generations. We need to tackle this in order to reverse the dwindling incomes of small household farmers, the backbones of Ghana’s agriculture, who are almost half of the entire population of Ghana. To this end, we call on you to uphold their rights as enshrined in the International Treaty on Plant Genetic Resources for Food and Agriculture (ITPGRFA), of which Ghana is a signatory. In particular, the farmers’ right to use, sell, save and exchange farm-saved seeds, is currently under a serious threat by the Plant Breeders’ Bill, 2103, as well as the Arusha Plant Protection Protocol, which also awaits ratification by Parliament. The Arusha PVP is so bad that the UN Special Rapporteur on the Right to Food recently raised concern in an open letter addressed to the Member States of the African Regional Protocol for the Protection of New Varieties of Plants, dated 24 November 2016. It is about time Ghana sought Ghanaian solutions to Ghanaian problems rather than allowing foreign giant agricultural and chemical corporations to impose their solutions to their advantage for profit maximisation, and at the expense of poor Ghanaian farmers. A crucial issue we call on Nana and the Ghanaian public to keep a keen eye on is the fact of the illegitimacy of the bill itself. This was beautifully highlighted in the petition presented by more than 50 international CSOs and NGOs. A reading of that particular petition shows clearly that the accompanying Memorandum to the Plant Breeders’ Bill sent to Parliament by the Attorney-General and Minister for Justice, was at best, based on false premises, or at worst, designed to mislead the House in favour of the Bill. It raises more questions than answers. See: Ghana’s Plant Breeders Bill Lacks Legitimacy! It Must Be Revised! The fundamental question that needs to be answered in the interest of accountability and national security, is, if according to WTO rules, Ghana has the right to develop its own unique system of plant breeders rights protection that is suitable to our developmental needs, what informed or “provoked” such a decision clearly in obvious opposition to our national interests, to opt to “apply the requirement for compliance with the International Convention for the Protection of New Varieties of Plants of December 2, 1961″, in the first place? Why not opt for the African Union model, which includes language that compels any entity or individual who provides germplasm resources to any foreign entity, organisation or individual in cooperation to conduct research, shall make an application and submit a national benefit-sharing plan? Considering the numerous objections from experts all over the world, that UPOV benefits the big multinational seed corporations, and that a developing country like Ghana stands to lose by its adoption; the ubiquitous problem of corruption and the track records of the corporate lobby behind the UPOV bill, we strongly smell a rat. We do not only demand its withdrawal from Parliament, and a replacement with a “sui generis” plant variety protection system, but also, investigations into why we came so close as a people to be sold out to foreign seed companies, and draw the appropriate lessons. For the same reasons, we further call for the total rejection of the Arusha New Plants Protection Protocol, currently pending Parliamentary ratification, as just another way of smuggling into our laws, the same UPOV convention without public scrutiny. It is against this background that those of us who saw just how close Ghana came to a new form of colonialism led by rich multinational corporations through the control of our seeds are happy to welcome change! We heave a huge sigh of relief, as we contemplate our prospects with the new administration. The Plant Breeders’ Bill was postponed recently. Majority Leader, Hon. Alban Bagbin assured Parliament that “it will be brought to the house next year”. It is our hope that it will be completely withdrawn and replaced with a “sui generis” plant breeders’ and farmers’ rights protection bill. Ghanaians voted for change. Change has come. It is time to change the obnoxious UPOV-compliant Plant Breeders’ Bill. Our congratulatory message would be incomplete, if we do not end with an appeal to your incoming administration to place an indefinite moratorium on the cultivation and sale of genetically modified foods in Ghana until the science of GM foods and human health, as well as environmental impact, has been thoroughly studied and cleared as safe by independent science rather than corporate-driven, profit-oriented scientists and regulators, ridden to the core with conflicts-of-interest. We are happy for change also because President Mahama failed to heed to our numerous calls. Naturally, we are more than eager to thank Nana for listening to us. It is our fervent hope that we may not in the future find ourselves tweeting again, “We told you so”! 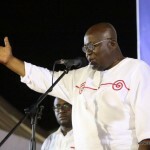 We are most pleased to hear Nana declare he would not let Ghanaians down. At a time like this, it is a big pleasure to congratulate Nana Addo, not only for winning the elections, but also for the hope and happiness this victory has generated all over the country. We equally congratulate President Mahama for the grace and peace he has bestowed on all Ghanaians for his dignified and organized exit from power.